A slinky pair of mesh capri leggings. Ideal under a short or for layering up and not recommended to be worn solo in yoga class. 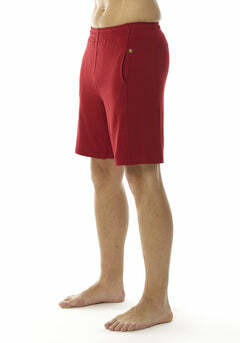 Extremely light weight and a great way to take the chill out of wearing shorts. Due to the low content of bamboo and higher than normal content of synthetic material, this garment would not provide any hypoallergenic benefits. As we are moving towards a minimum natural content of 80% in all our garments, this item will no longer be re-stocked.